This kit is used to connect single channel Hammond organs with or without internal speakers to Leslie speaker models 21, 22, 32, 122, 122A, 142, 222, and 242. 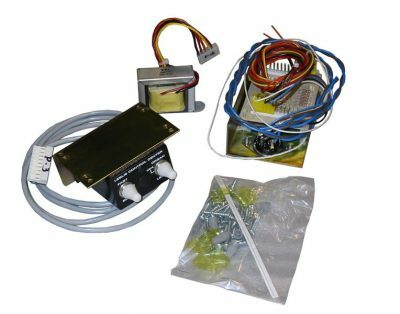 This kit allows you to switch between a Leslie speaker and a PR40 Tone cabinet or the self-contained speakers by means of the Main/Echo switch provided. Also contained in this kit is a Tremolo/Chorale switch for changing the speeds of the Leslie speaker. We recommend that a factory-trained technician install this accessory.